Polls can be used by any website who like to interact with their users and get to know them better. A very simple poll question i saw in one website is “Are you a designer?” with “yes or no” to answer. Feedback is the best response a topic can receive even it is from a critic. It improves total user interactivity and how users use your website. People get bored easily when they dig on a certain topic they are looking for. A simple poll can change the mood of the user, trust me it is very interesting to play around with polls. 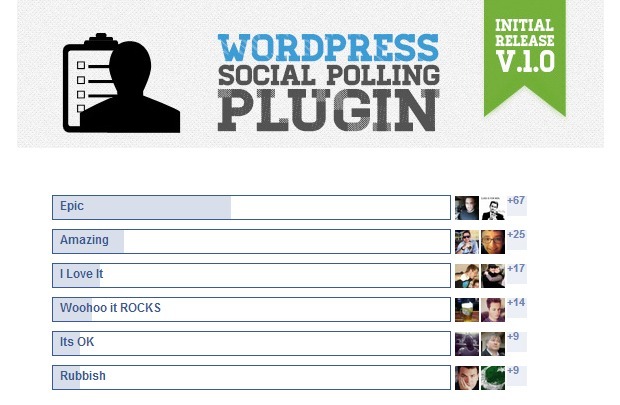 WordPress users can choose from a variety of poll plugins which can be integrated as widgets in most cases. In this topic we will show you how to get started with poll plugins. Social polling plugin lets you integrate polls to your Facebook page as well as in website. If you are already been using polls on your website then you will find out more plugins to choose from here. I have compiled a list of some Best WordPress Poll Plugins which can change the total mood of the website. Please share in your comments on what you think about these plugins and if these are useful for you. Yop poll might be the easiest way to get the answers you need from your community. Create, add new polls and do the survey on your wordpress website by including options to select single, multiple answers and more. Host Hot or Not popularity contests on your site and allow your visitors to rate their favorite things! ‘Responsive Poll’ allows you to create polls easily in WordPress. The results can be displayed in a number of fully customisable HTML5 animated charts. TotalPoll is a wordpress plugin that let you create polls and integrate them into your posts and pages or even having them as a widget in any widget area. 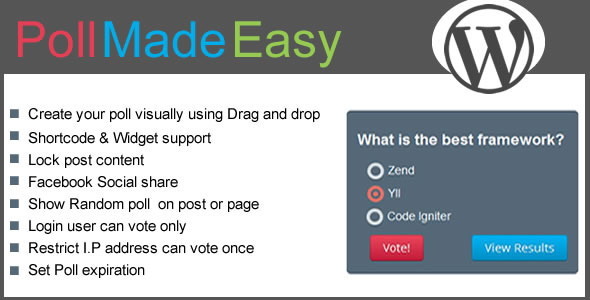 Create opinions, votes, photo voting and much more with this classic wordpress poll plugin. The Opinion Stage social poll plug-in allows you to easily add social polls (or standard polls) to your website or Facebook page. Using Opinion Stage’s social polling solution, sites can improve engagement, drive traffic from social networks to the polls and site, discover contact, demographic and social attributes of the poll participants, and more. The social poll plug-in is free and is very easy to install and use. Wedgies are polls you can embed on your WordPress page. Engage your audience by asking them a question via Wedgies. 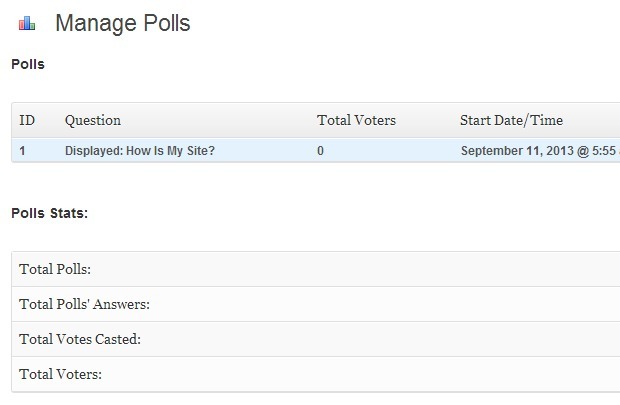 Add polls with multiple choice of answers to your site. Display the results in colors from red to green, or any color you like. Make answers mandatory or not. Add polls to post and pages with shortcode. Easy to setup and use. 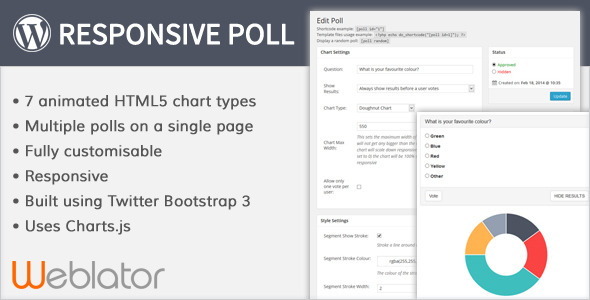 This plugin gives you no option to define a poll template by the way. The Poll Directory is filled with hundreds of pre-made user polls. Each are assigned to specific popular topics and categories. Choose a topic from the list and then the Poll Directory does the rest. It’s a great sidebar addition to provide fresh content for website or blog. This plugin brings a new and easy way for you to engage your website visitors and gather opinions. The plugin lets you ask questions for your visitors to vote on. You can display the polls as boxes or bar charts. The plugin can be used as a rating system for any of your posts or pages and help you find out which of your posts people really like by giving them the option to vote with just one click. The WordPress Social Polling Plugin is an additional plugin to work in conjunction with the popular WordPress Easy Polling Plugin. This plugin requires the purchase of the WordPress Easy Polling Plugin. 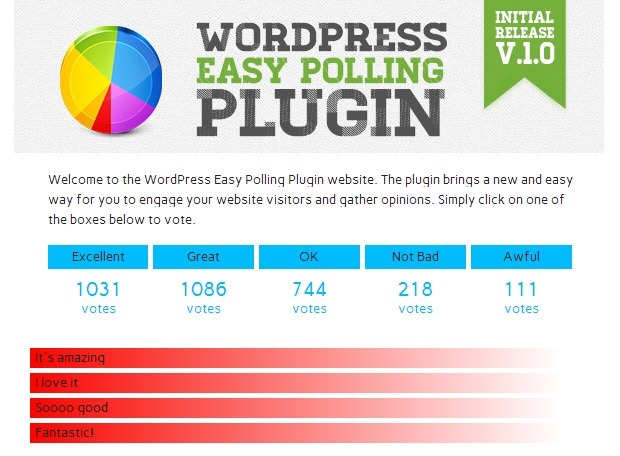 Without the latest version of WordPress Easy Polling Plugin this plugin will not work. ExtStore Advanced Polls is a WordPress plugin which allows you to create polls and display its result as many graphical figures in nice-designed popup windows. There is no restriction in the number of polls, with a single installation users can add and manage polls unlimited. Have you ever wondered which is the best? Now you can find out by operating a “You Rather” type voting and polling section to your website. Find out which is best based on opinion polls of your websites visitors. A free version is available here. 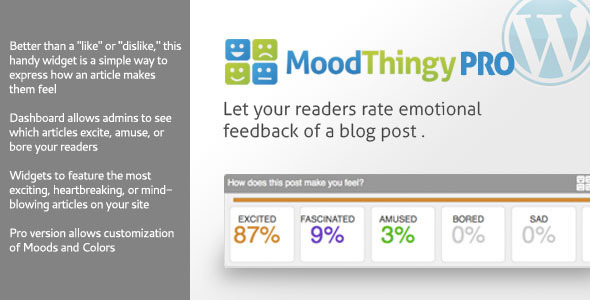 MoodThingy is a plugin that any blogger can use to track the emotional feedback of an individual blog post or article. The plugin can be configured to automatically appear below all of your posts, or manually placed anywhere within a post using a handy WordPress tag. A dashboard of MoodThingy stats is also offered so you can see which articles excite, amuse, or bore your readers, sorted by mood or number of votes in the past day, week, or month. A premium plugin which lets the shortcode integration in posts, widgets to make polling much easier. The vote results can be viewed upon votes or before voting. This is a WordPress Plugin by which you can easily manage and add Polls with different styles to your wordpress websites. Poll plugin is very essential to know users point of view.Through this it can enhance positive energy which is good for work.You listed some of the plugins above all I personally like WordPress Easy Polling Plugin. Its very easy to work .I can interact with users ,they can give rating and all the way its satisfy me. I really need a poll wordpress plugin to spice up my site. Thanks to your article, I am able to choose which plugin to use. I am looking for aWP poll/voting plugin that allows a website user to dynamically create a poll and possible answers themselves without intervention from the site admin to set it up. Does anyone know of anything that supports this? Thanks for all this great information ? We use Squareoffs.com allowing for greater time on site and it’s clean. Also allows people to add text, photos and their own thoughts for longer user engagement.